It seemed strange that we hadn’t seen even a glimpse of the new Fantastic Four film considering it’s due out this summer, but Fox has finally given us a trailer and it looks promising. From director Josh Trank, Fantastic Four seems to have the same dark visual aesthetic of his previous film Chronicle. While the somber piano music and ominous narration are a bit much, the visuals look good and more grounded than the previous Fantastic Four films. That sense of reality is what made Chronicle such an interesting film. Even if this film wasn’t based on a popular comic book franchise, it still looks like a solid sci-fi adventure. While it seems far too early for talk of a sequel, Fox announced months ago that Fantastic Four 2 will come out in 2017, as would the sequel to The Wolverine starring Hugh Jackman, followed by an untitled Fox/Marvel film in 2018. This led many to speculate whether some sort of X-Men/Fantastic Four crossover could fill the mystery slot. Fox does own the rights to both franchises and Days of Future Past co-writer Simon Kinberg also wrote Fantastic Four. So there’s certainly a possibility. I just hope it leads to the on-screen X-Men finally breaking out the old blue & yellow costumes they’ve sported in the comics (and briefly in X-Men: First Class). 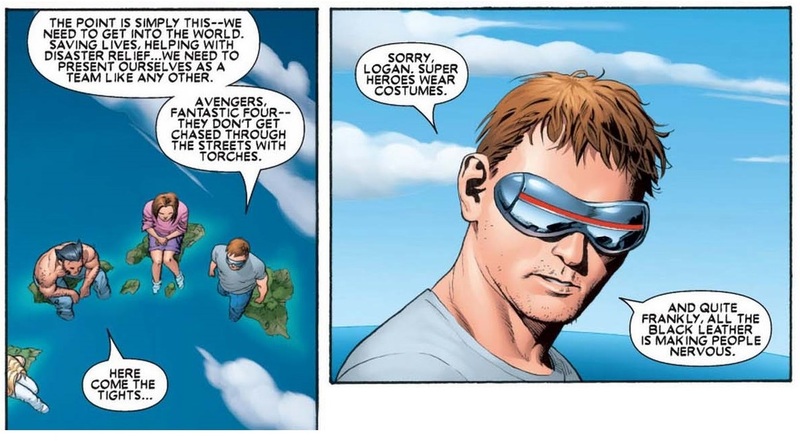 As Cyclops explains in Joss Whedon’s Astonishing X-Men, the Fantastic Four are part of the reason they return to the classic costumes. That dichotomy between the outsiders (mutants) and the insiders (superheroes) would be great to see on screen, but of course that’s still just a possibility and years away. Until then, we can only hope Fantastic Four is as impressive as its trailer and able to stand on its own merits. The film stars Miles Teller stars as Reed Richards/Mr. Fantastic, Kate Mara as Sue Storm/The Invisible Woman, Michael B. Jordan as Johnny Storm/The Human Torch, Jamie Bell as Ben Grimm/The Thing, and Toby Kebbell (Dawn of the Planet of the Apes) as Dr. Doom. 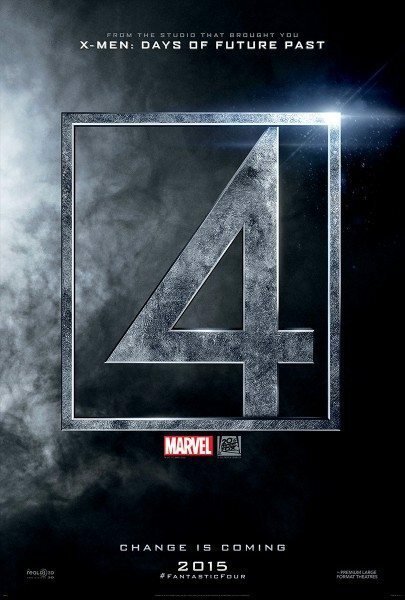 Fox’s Fantastic Four is in theaters August 7, 2015.